It’s been a 3 yr wait for this day – the day that would change my life forever. I came face to face with a Great White Shark. How can they not be called Great anymore? They really are. They are awesome. And we need them ALIVE! 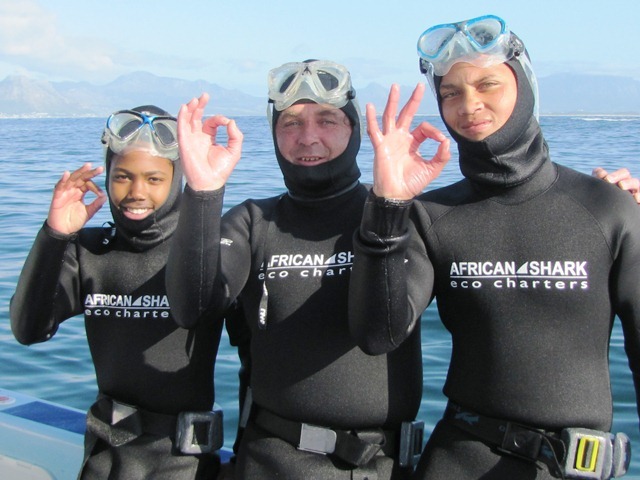 At Dawn, on Tuesday 2 October, I accompanied the 6 members of the Ocean View’s Slangkop tribe, winners of the AfriOceans Warriors Challenge event, held on 16 June this year, as we were treated to a shark cage dive adventure, thanks to the kind sponsorship of African Shark Eco Charters. 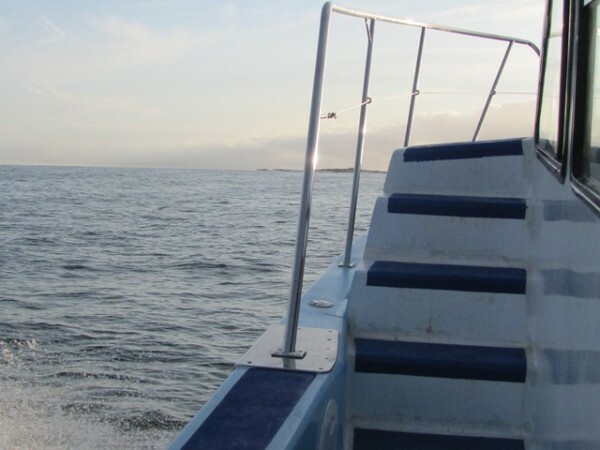 To be out on the sea again, immersed in Nature is where I always want to be, seals riding our wake as we see the Island in the distance. 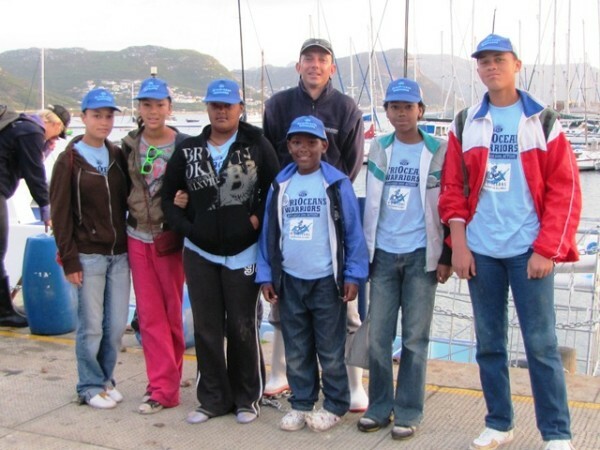 Our young AfriOceans Warriors are on the top deck, enjoying the boat ride, snapping pics with their cell phones. As we rounded the island, dragging a rubber seal shaped decoy, the strong fish smell hits you. 75 000 Seals and a handful of penguins inhabit Seal Island. White Sharks patrol the island in winter, looking for a meal. Rob points out a slick on the water. 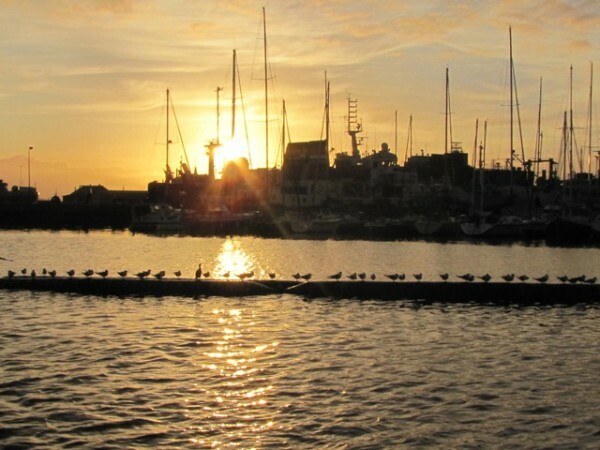 ‘There’s just been a predation.’ Look at those seagulls, taking the last remnants of the cape fur seal’. 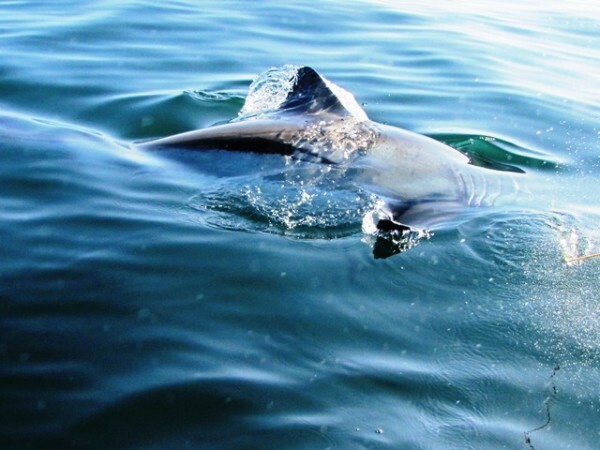 Rob Lawrence, owner of African Shark Eco Charters, explains how he uses the seals behaviour to determine whether there are white sharks around. We anchor on the South side of the island. BOOM! Right in front of our boat. Natural Seal Predation! 30 seconds. Incredible. Nature in Action. No Human interference whatsoever. Splash. In went the Safety Cage, wetsuits were retrieved from the hold and each of us kitted up. Our young AfriOceans Warriors were looking very worried at this point but were reassured that we would be extremely safe in the safety cage. For some of them it was a bridge to far as they spent some time getting sea legs over the side of the boat. 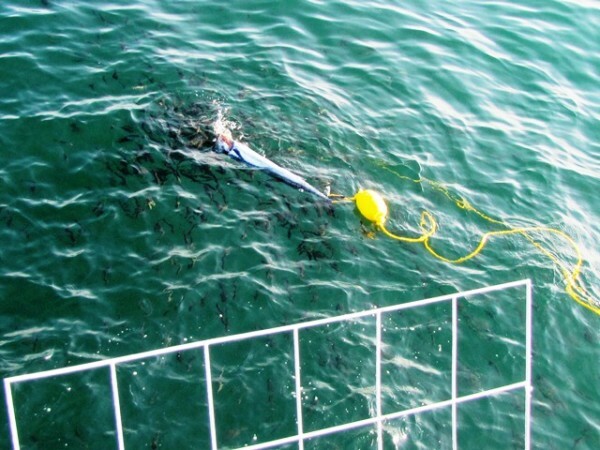 Three different methods were used to attract the sharks to the boat, a surface baited float, from the deep and a rubber seal decoy. We had a number of visits from sharks at their own terms and the amount of chum was minimal, in comparison to a normal fishing boat gutting their fish on return to the harbour. Another operator had a number of hits on the floating rubber decoy nearby and it looked like the shark was playing with it. When retrieved, it had a Shark tooth embedded in it. Rob showed how sharp it was by slicing through a piece of rubber. But it was in the cage for an hour and a half, in a beautiful wetsuit, hoody and booties, up and under the water, I realised I was doing something really awesome, life changing in fact. I just enjoyed holding my breath and sitting on the bottom of the cage, just being immersed with the ocean, watching the haarders and box jellyfish.Then it happened! It was that 10 seconds watching a 3m White Shark come cruising very close to the cage, right in front of me that changed my life. He knew I was there and I caught his eye. He was not scared and nor was I. This is no monster. I was in AWE. It is a highly evolved, incredible apex predator that we HAVE to protect to keep our Oceans in Balance. 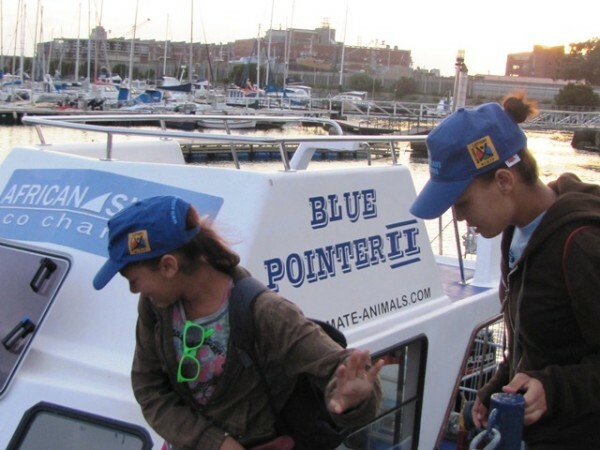 As a conservationist and marine educator, I learnt an incredible amount about the behaviour of white sharks and how an ecologically sound eco tourism company like African Shark Eco Charters can play an important role in educating their guests, the public and local communities about the white sharks of Seal Island. I would highly recommend their cage dive adventure.